First and Second Season of Fate/Zero. Fate/Zero takes place 10 years prior to the events of Fate/stay night, detailing the events of the 4th Holy Grail War in Fuyuki City. The War of the Holy Grail is a contest in which seven magi summon seven Heroic Spirits to compete to obtain the power of the "Holy Grail," which grants a miracle. After three inconclusive wars for the elusive Holy Grail, the Fourth War commences. Founded by the Einzbern, Makiri, and Tohsaka families centuries ago, the Einzbern family is determined to achieve success after three successive failures, no matter the cost. As a result, they have elected to bring the hated magus killer, Kiritsugu Emiya, into their ranks, despite his methods and reputation as a skilled mercenary and a hitman who employs whatever he can use to accomplish his goals. Though Kiritsugu had once wanted to become a hero who could save everyone, he has long since abandoned this ideal upon realizing that saving one person comes at the cost of another's life. For the sake of humanity, he will ruthlessly destroy anything and anyone who threatens the peace of others. 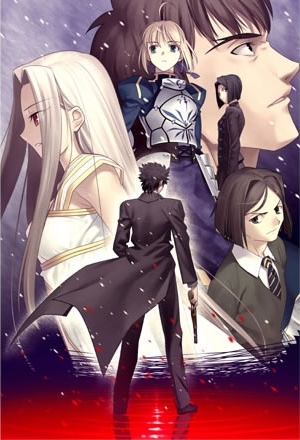 However, Kiritsugu finds himself deeply torn between the love he has found for his new family—his wife Irisviel and their daughter Illya—and what he must do to obtain the Holy Grail. Meanwhile, Kiritsugu's greatest opponent appears in the form of Kirei Kotomine, a priest who cannot find any sense of fulfillment in his life and sets his sights on Kiritsugu as the possible answer to the emptiness he feels. Watch Fate/Zero Episodes Online at Animegg.org. Fate/Zero is available in High Definition only through Animegg.org. Choose an episode below and start watching Fate/Zero in Subbed & Dubbed HD now.